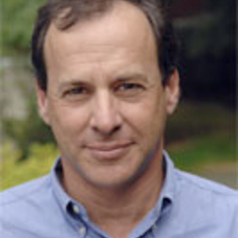 David Frankfurter joined the faculty of Boston University in the fall of 2010. A scholar of ancient Mediterranean religions with specialties in Jewish and Christian apocalyptic literature, magical texts, popular religion, and Egypt in the Roman and late antique periods, Frankfurter’s particular interests revolve around theoretical issues like the place of magic in religion, the relationship of religion and violence, the nature of Christianization, and the representation of evil in culture. He teaches courses on Western religions, comparative religions, Jewish and Christian apocalyptic literature, and the documents of early Christianity, including extra-canonical sources, magical texts, and saints’ lives. After earning his B.A. in Religion from Wesleyan University, M.T.S. from Harvard Divinity School, and M.A./Ph.D. from Princeton University, Frankfurter taught at the College of Charleston and the University of New Hampshire, and he held fellowships at the Institute for Advanced Study (1993-95) and the Radcliffe Institute of Advanced Study (2007-8), as well as research grants from the National Endowment for the Humanities (1992) and the Guggenheim Foundation (2007-8). His publications include Elijah in Upper Egypt (Fortress Press, 1993), on an unusual early Christian prophecy that envisioned the endtimes in Egyptian terms; Religion in Roman Egypt: Assimilation and Resistance (Princeton University Press,1998), which shows the different ways Egyptian religion continued despite the decline of temples and rise of Christianity; Evil Incarnate: Rumors of Demonic Conspiracy and Satanic Abuse in History (Princeton University Press, 2006), on the ways that cultures and religious movements envision evil as an active, personified force; and the forthcoming Christianizing Egypt: Syncretism and Local Worlds in Late Antiquity (Princeton University Press, 2017), on the social contexts through which Christian ideas were integrated into Egyptian culture; as well as the edited volume Pilgrimage and Holy Space in Late Antique Egypt (E.J. Brill, 1998).